Zoom Dry Cleaning of Pittsburgh spent countless hours creating the most efficient cleaning process to provide our customers with quality garment care and top-notch customer service. Breaking down traditional barriers to quality and affordable garment care solutions, ZOOM stores are built with an open concept floorplan. Come in, and see how we work for you! ZOOM makes it simple to ZOOM in and ZOOM out with confidence that your belongings are well taken care of. 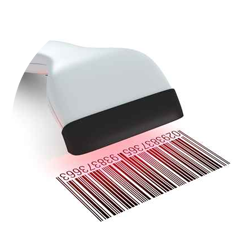 When you check-in your items, we count them, tabulate the totals on a ‘per piece’ basis, and issue a computer generated printout. Garments are then escorted through the production process using a barcode system that identifies your belongings and tracks their status – from start to finish. We’re focused on taking care of our customers. Unlike many neighborhood or in-store drop off cleaning hubs, most Zoom locations have state-of-the-art cleaning and finishing equipment on site. Our team’s focus is cleaning and caring for your garments – not transporting them around town to various finishing stations. Eliminating the need to transport garments reduces cost, turnaround time and room for error. When it comes to garment care, fully priced doesn’t always mean fully satisfied. You can expect more for less at Zoom Dry Cleaning of Pittsburgh. Ask for a tour and we’ll show you how!